You want to create a personal blog or small magazine website about your hobby or leisure activities? Here are some free templates magazine wordpress theme that you can use. These themes comes with a gorgeous Post Slider, Magazine Homepage template and a Header Widget area. Settings can be configured easily in the Customizer. 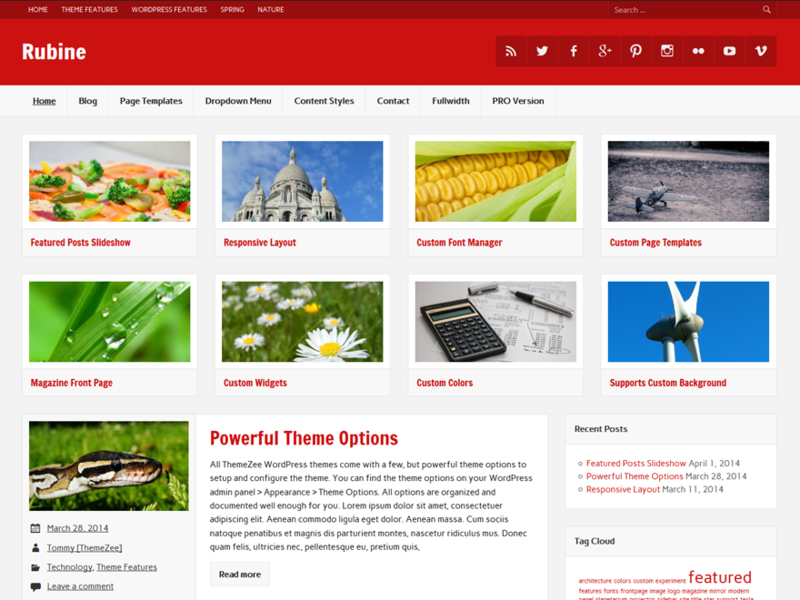 These themes includes a sleek fullwidth image slideshow which can be displayed on the Magazine Homepage template and on the normal blog index. The Slider will highlight all your featured posts, which can be easily selected and configured by setting a featured tag in the theme options. 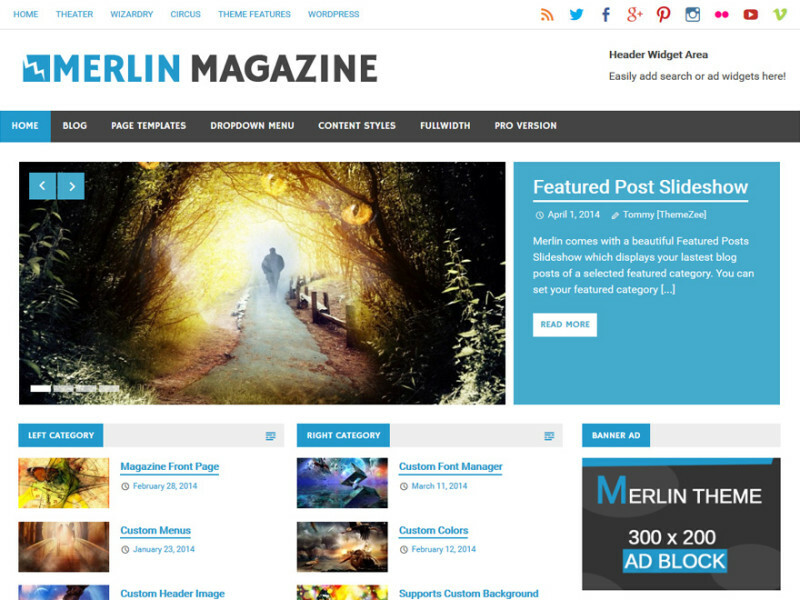 A clean and elegant magazine theme suitable for any kind of content related website. 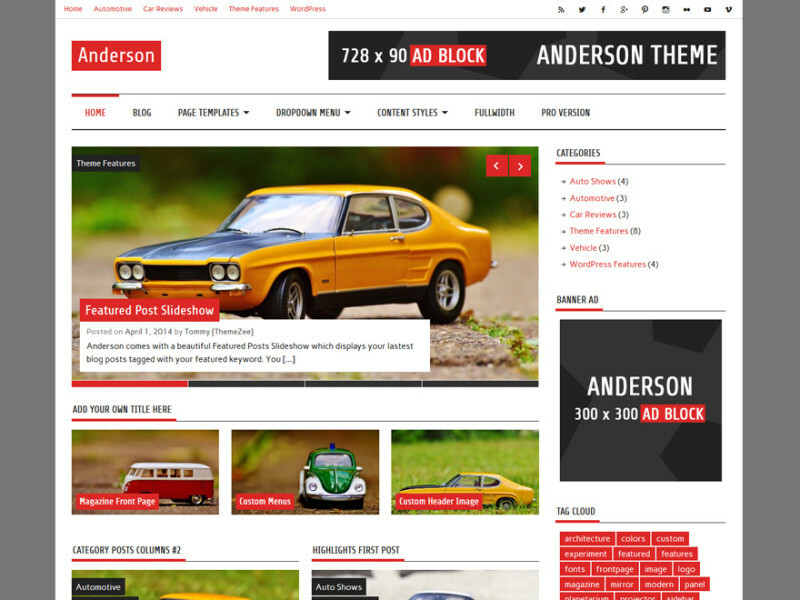 It features a fully responsive layout, user-friendly theme options and a featured post slider. Smartline is a responsive theme with bold colors and smart lines. It was never easier and faster to built your news, magazine or blog website with WordPress. 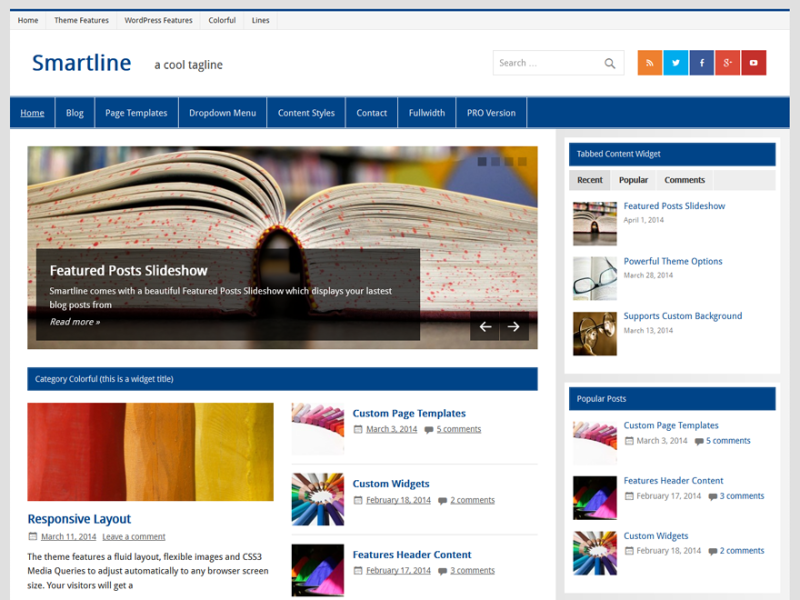 Smartline is the perfect theme for news and magazine websites as well as simple blogs. The responsive design with bold colors and smart lines looks great on any device. Smartline supports a flexible and widgetized front page template which allows you to create a magazine-styled homepage with ease. 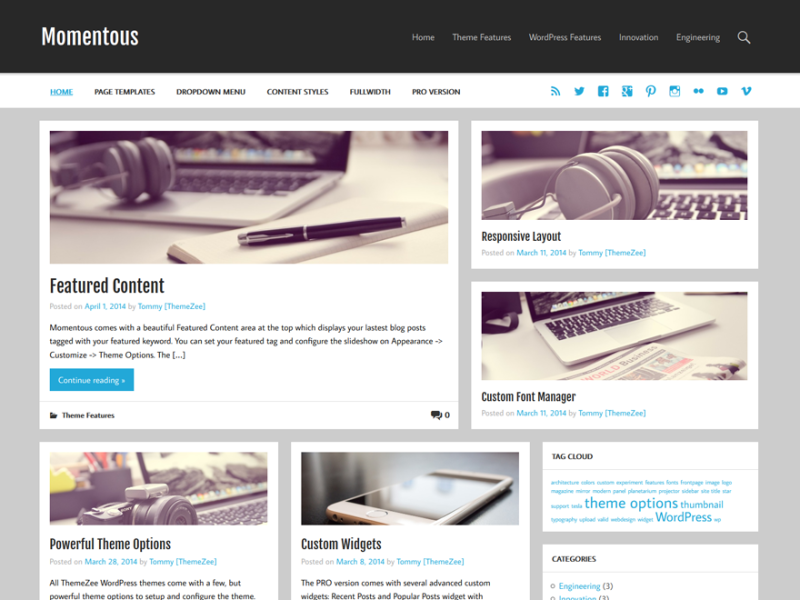 Momentous is a modern Magazine theme featuring large post thumbnails, a clean typography and two column post layout. It goes without saying that Momentous has a fully responsive layout.Momentous comes with a fluid layout that adapts to any screen size – from smartphones through tablets to big desktop screens. Your visitors will get a great-looking and easy-to-use website no matter what device they are using. This theme uses the Genericon icon font instead of any graphic images and is 100% retina-ready. 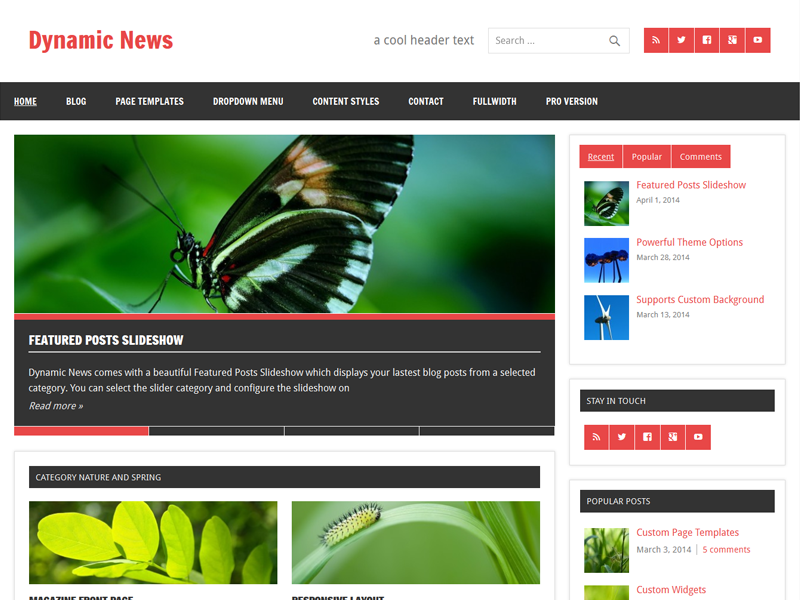 Dynamic News is a responsive theme with strong colors and bold fonts. The theme is perfect for news and magazine websites as well as blogs. The main highlights of Dynamic News are its configurable magazine-style front page template and featured post slider. Dynamic News features a fluid layout that adjusts automatically to any screen size. Rubine is a clean and retina-ready magazine theme created with usability and simplicity in mind. 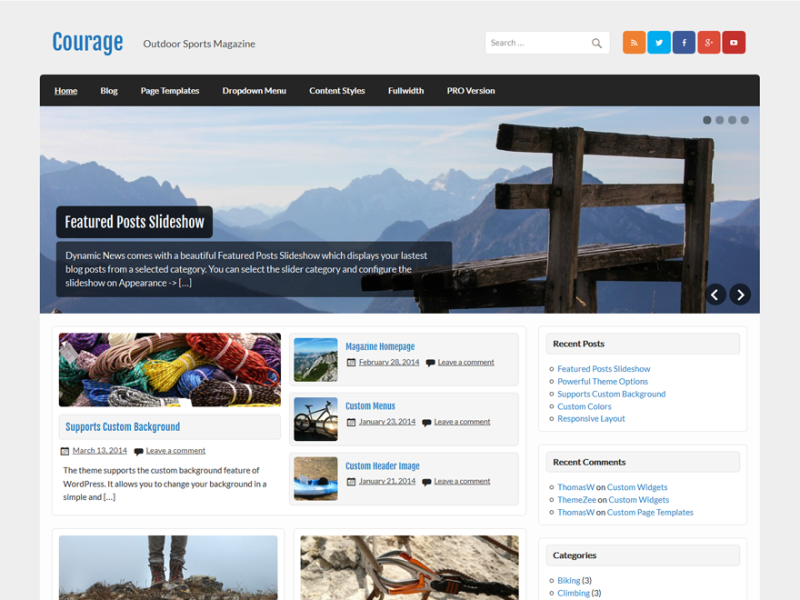 The theme offers a gorgeous featured content area on the home page to highlight your most important posts. Of course the design is fully responsive and makes your content readable on every device. 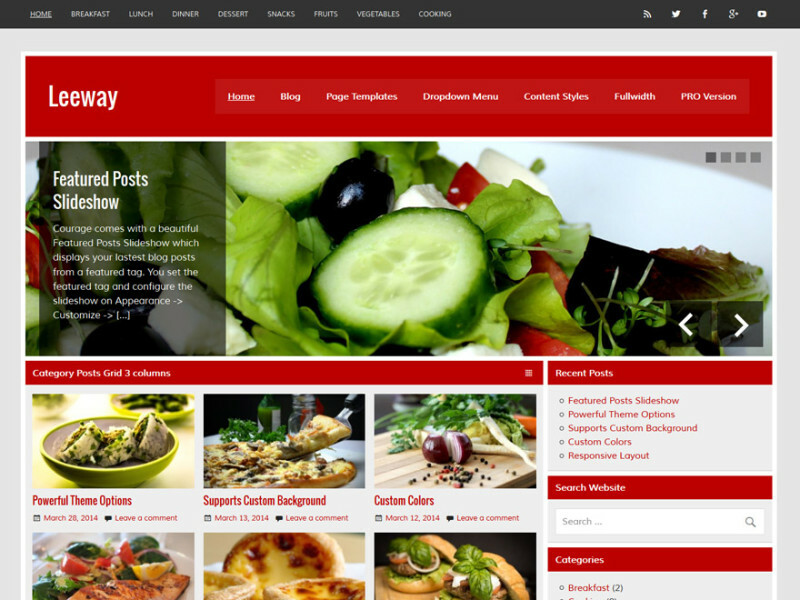 Leeway is a free, responsive theme designed for small magazine websites or blogs. The theme includes two navigation menus, social icons, a fullwidth featured post slideshow and a flexible Magazine Homepage template. All settings are easy to configure in the Customizer. Leeway supports three different Category Posts widgets (Boxed, Columns, Grid) to choose from.